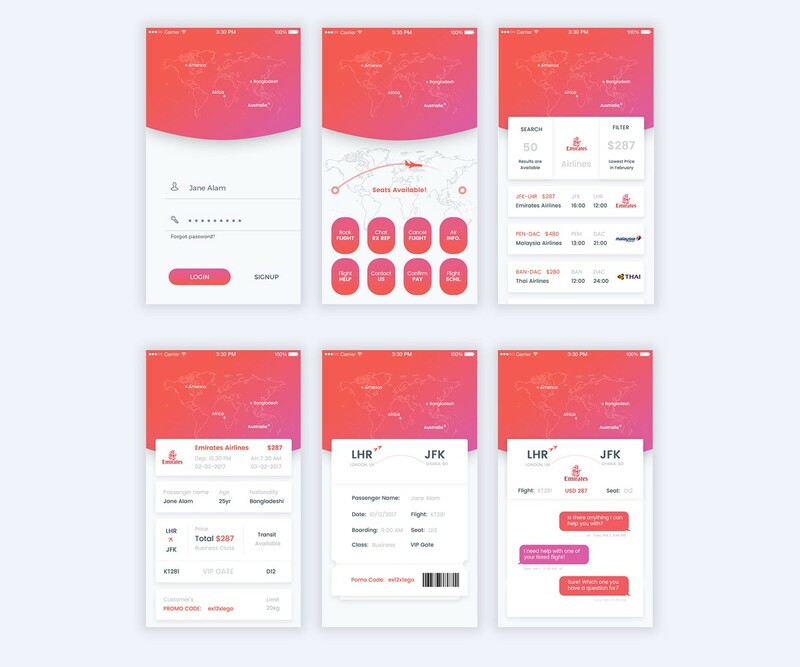 Download Flight Booking App UI PSD. This free mobile app ui is Ideal for any flight booking and travel related apps with a minimal design. The flight booking app ui design is very elegant and modern, and also very easy to customize. It is also suitable for Hotels, restaurants, travel, holiday, villas, motels and other booking related businesses as well. With this Flight Booking App UI kit you will get 6 well-organized app screen .psd files which are really easy to customize because every folder/layer is properly named and described. Feel free to use this Free Flight Booking App UI PSD in your upcoming mobile app ui design project. You are completely free to do what you want. Hope you like it. Enjoy!